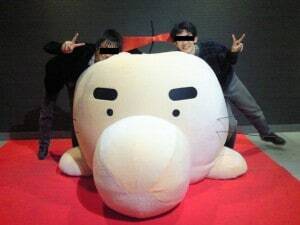 The Giant Mr. Saturn arcade event in Japan ended not too long ago, and I’ve been watching for reports from eventgoers. I plan to update this post for the next day or so as more info comes in, so check back regularly! This person (we’ll call him/her “B”) spent like two hours trying to catch the MOTHER 3 Mr. Saturn in a crane game, just as they were almost out. 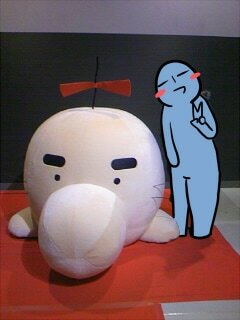 Immediately after, was able to get one of the new mini Mr. Saturns. MOTHER 2 Mini Character Figures #4: Poo, Pokey, Picky, something else? Apparently all the figures had the same look and feel as the clay models in the strategy guides. I’m pretty sure they won’t be clay though and won’t be exactly the same as those clay models. Also, there might be more figures, but B can’t remember. That’d definitely be a lot to try and remember. It’d be a lot easier if they allowed photography, but the event people specifically forbid any photos during the time they were being shown off. But it already sounds really cool, so I hope we’ll get more info soon! 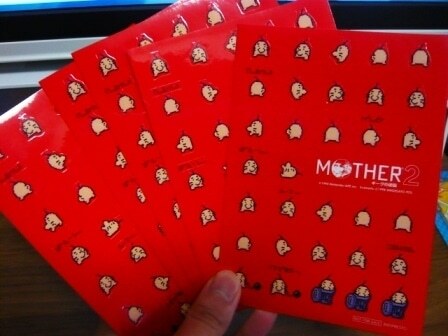 The stickers are already on Yahoo Auctions Japan! See here! 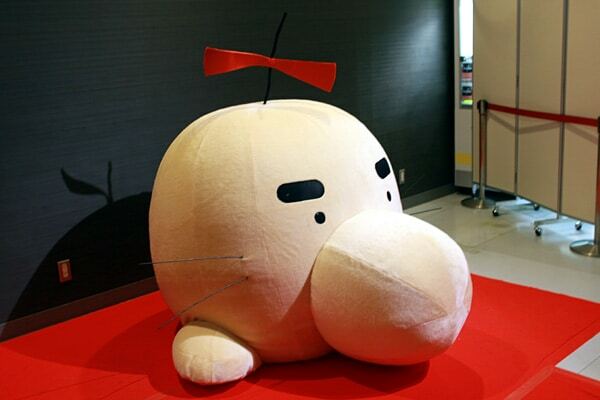 Apparently the giant Mr. Saturn runs on electricity; there isn’t a guy in there. I thought that might be the case since I saw the power outlet next to it in the video with Itoi. 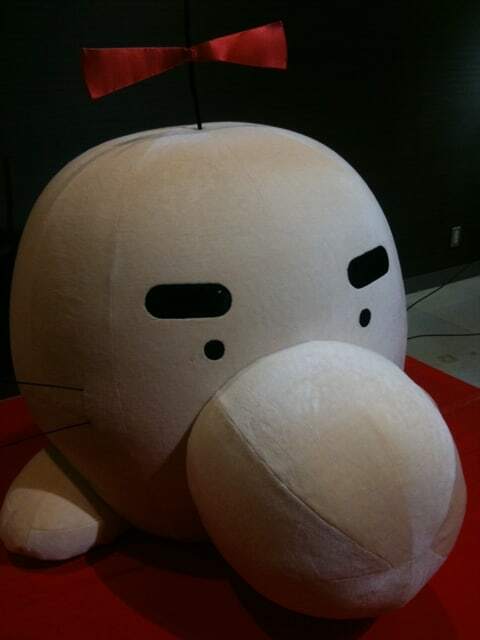 I also believe the Mr. Saturn is going to be shown at various arcades over the next few months too, so this won’t be the only chance to see it. 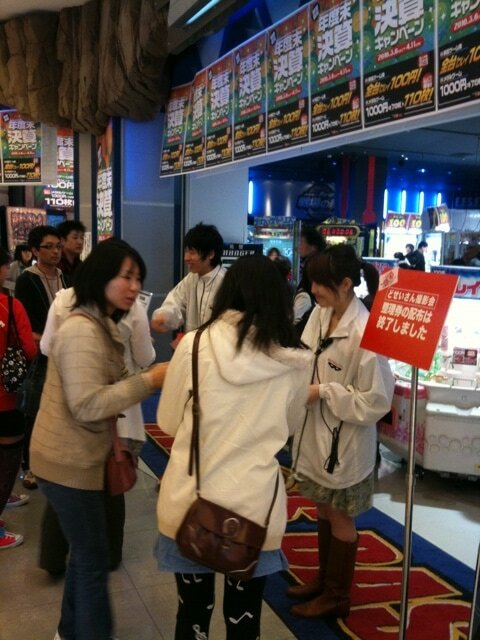 As expected, a lot of people showed up for the event. I’ve read that a large percentage of the attendees were couples who were all around the same age, which I guess is an interesting phenomenon. All in all, I’ve only read positive things about the event and the upcoming figures. 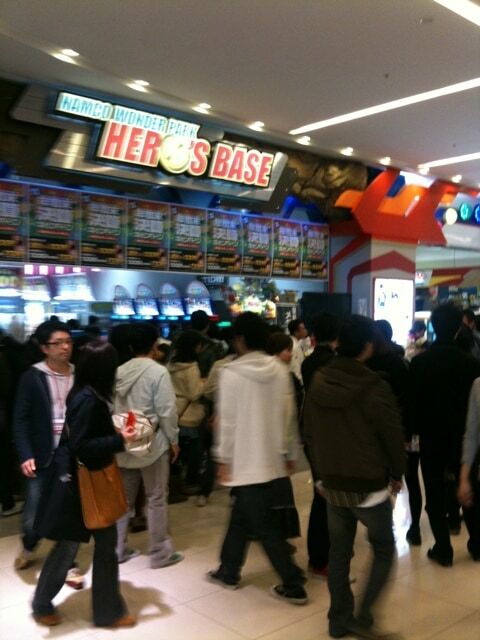 So even without any new games or anything, fans are still really attached to the series! If new info ever comes in I’ll be sure to keep everyone updated! 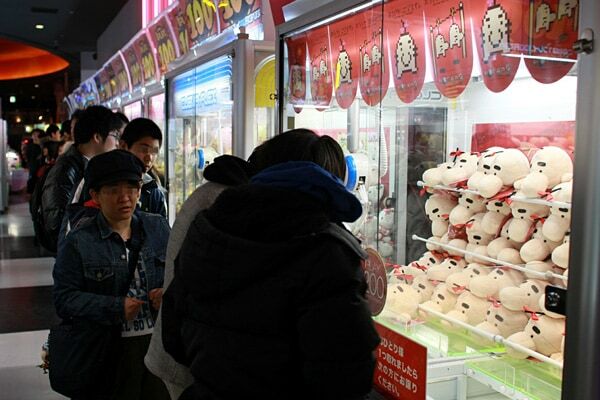 It’s really a bummer that stuff that people in Japan could get just by playing a crane game is worth so much to us in the US as well as other countries… I really wish Nintendo gave the fans more of what they wanted. Oh woooowwwwwwwwwwwwww. I’m going to fight tooth and nail for the full size figures, that’s for sure. I’ll do whatever it takes if they end up looking like the clay models! 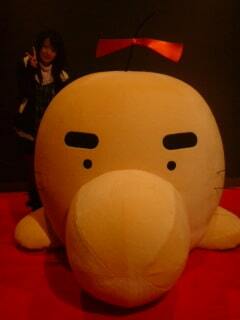 That giant Mr.Saturn is AWESOME! I wish I had been able to get a picture with it. Ah well maybe in the future. How big are the figurines? Full sized? Woot! 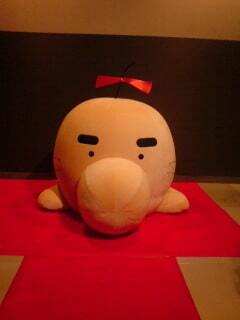 Trash can Mr. Saturn! I’m gonna go broke getting all of these, but at least I’ll have them to draw my attention away from my bank account. Maybe they’ll be released in waves? Guess I’ll go ahead and start saving now. I sure hope that those are sets, since it’d be a lot less stuff to buy. Yeah, so um… I’m gonna go get a job… like now. Yes! This stuff will be amazing! I’ve wanted to see the clay figures in person, but getting to buy a model of them is even better! Guess I’m gonna have to start saving up. 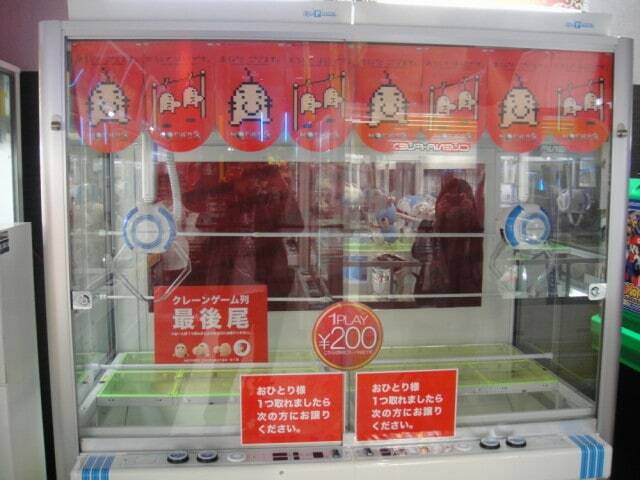 I’d really like all of the upcoming prizes to be honest with you, but do to ravid fans on Ebay, I’m better off buying a plane ticket and trying my luck at said crane game. my mind figuratively exploded when I read all that. I’m just going by what that site said. 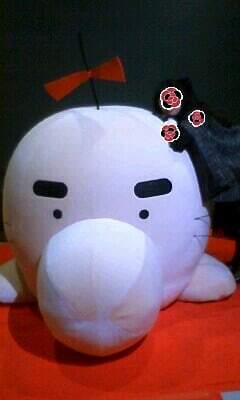 I know it’s Dr. Saturn. 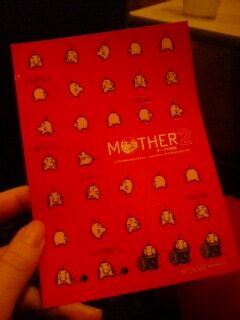 Strange how they aren’t making anything from Mother 3? Maybe it’s not as ‘classic’ (yet) or something? 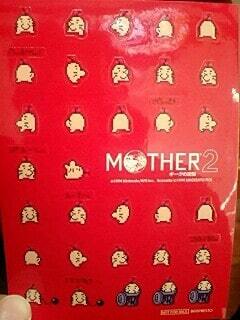 Nonetheless, these Mother 1 and 2 figurines are like 10 years overdue and sound like they’ll be a hit! I hope they’re not doing them in really limited quantities… need some quality merchandise where the value doesn’t skyrocket and exclude less-wealthy fans such as me! Hm. Interesting. 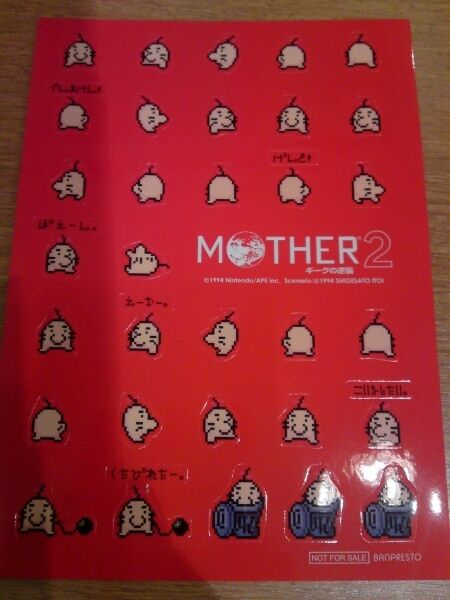 Stickers already acquired. I hope the figurines will be easily obtainable on YAJ! I want them alllllll!!!!!!! Wow! Such a cool event! 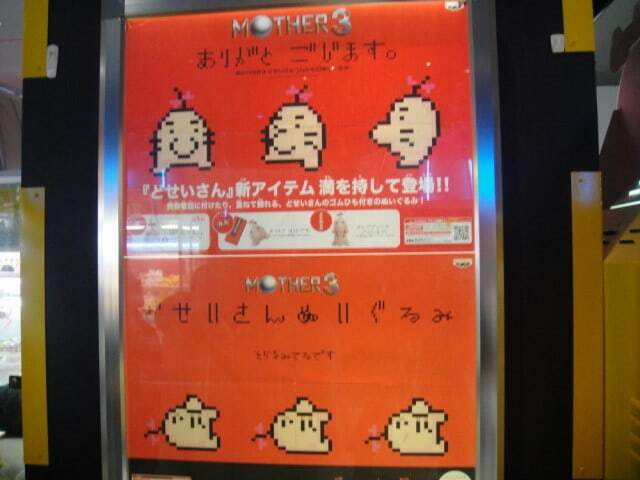 Happy to know that the Mother series is still alive and kicking in Japan. Urrrrrrghhhhhhh Stuff like this makes me so jealous! I mean, even for games popular in the US, we don’t usually get events like this! The last one I can think of was the Punch Out event at the Nintendo Store, but that was more of a tournament than a cool event like this…! 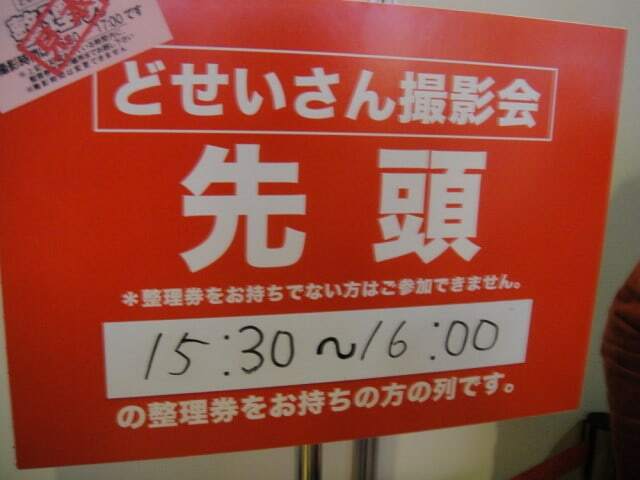 I’m so jealous, I wish I was Japanese. why? 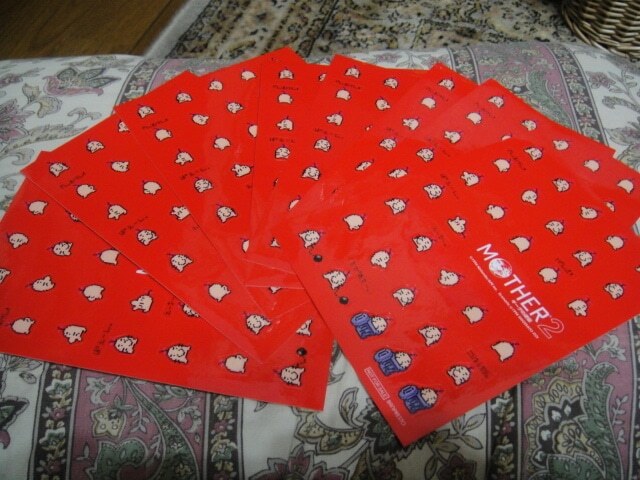 for mother! Kyoo, you wouldn’t be the first to do that! 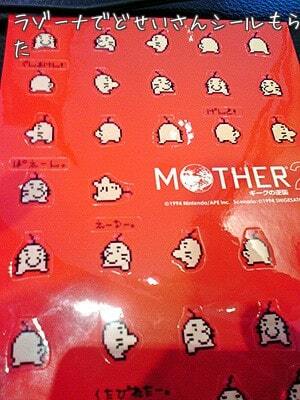 @Lucas – You already got a set of stickers? Wow that’s impressive! Was there a ‘BIN’ auction or do you have an insider? It’s kinda sad that they’re not doing Mother 3 figures… I’m not aware of any, but I’d kill for a Kumatora or Violet figure. Then again, I’d kill for a Starman figure too. 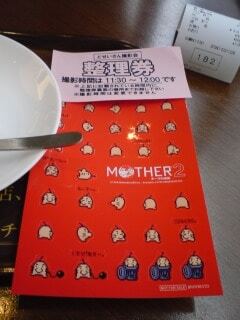 I don’t think we’ll see Mother 3 characers. Only because there are no clay models of them or 3d models in brawl…I hope though. This is still fantastic news. I think you can find cheaper options than ebay though. Poncho’s already said what I was gonna say. It’d be kinda cool if they were doing something in secret, though. 😉 Just not likely. 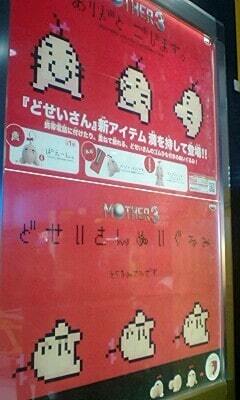 MOTHER 1 FIGURES DO WANT. Too bad I probably won’t be able to afford any, though. And yeah, eBay and YAJ are going to explode pretty soon. Hey Tomato, this is going to be off topic I know, but do you know if Earthboudn got released here in South America? What? I’ve never encountered a site which says if the game got released in the rest of America or not. Even if I were wrong, where’s the funny part? OMG!!! 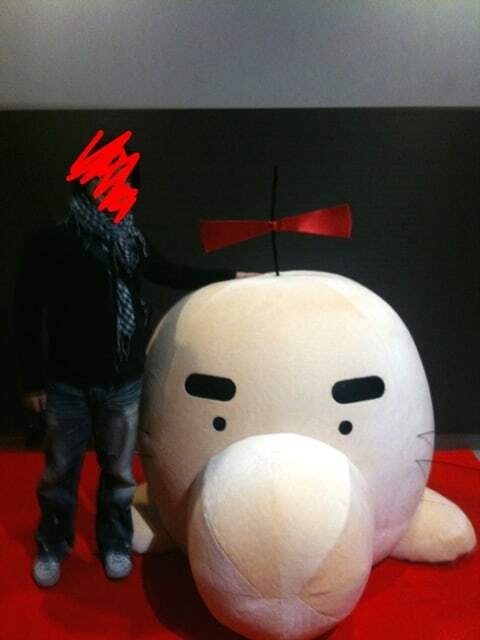 That Mr. Saturn is HUGE!!!! What, no bloggers mentioned the two lonely foreigners that showed up at the event? 😉 I managed to make it into Tokyo for the event and plan on writing up a blog post for it tonight. It probably won’t have as much information as the posts you already featured, but I guess it doesn’t hurt to have more pics and accounts. Alright, Chewy! I figured you’d make it to the event. While you may not have pics, could you describe the way the figures looked? Glad you were able to make it, Chewy! Can’t wait for the pics. Really wish I could have too. I hope I can afford at least one. Anyone knows if someone on Ebay is going to sell the clay models? 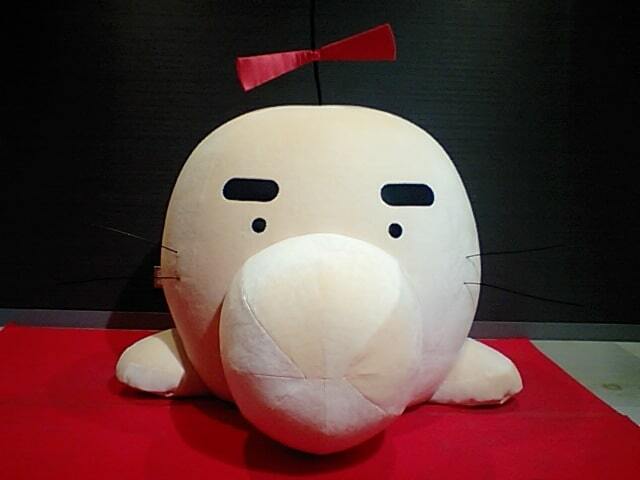 I’ll pay 5 grands for one of those Mr. Saturn plushies. No, I’ll pay any amount of money for one! 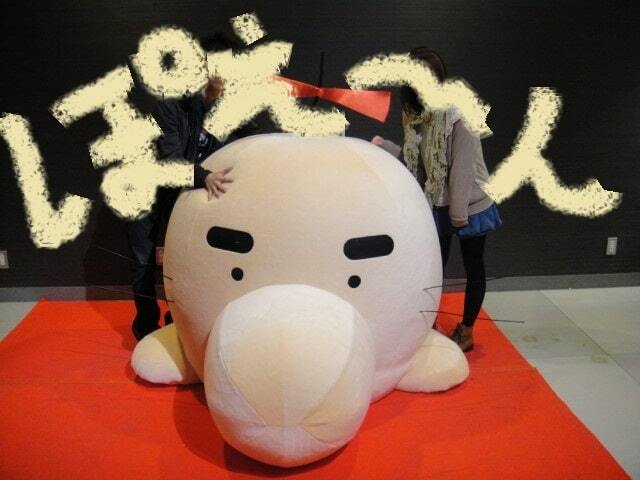 Why is it that most of the pictures of people with Giant Mr. Saturn are edited to hide their faces? I understand being too embarrassed to show yourself in pictures, but the edits up there are a little weird and extreme. I’m assuming the same person censored all the faces. And their method was just to make it funny, which I think they succeeded in doing. Poe: Japanese people are really sensitive about privacy and their identities out in public. It’s just the way things are there. neonix: I got most of those pics from different places, so they all covered themselves up, not just one person. 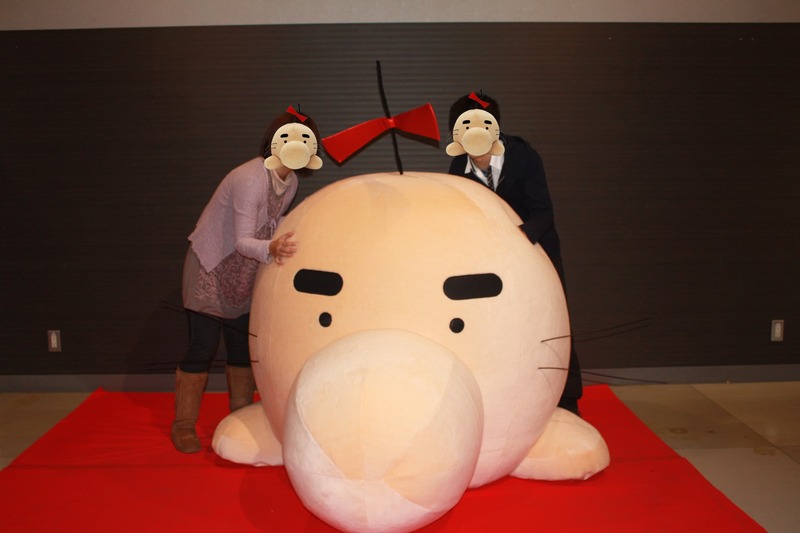 Man, if I had the chance to be photographed with a giant Mr. Saturn, I’d throw privacy out the window. I would use the picture in my presidential campaign. 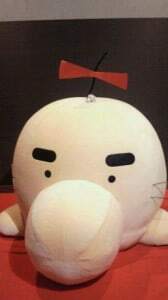 Why did they not make a lot of mr. saturns? im just sayin’ cuz they would sell like hotcakes! 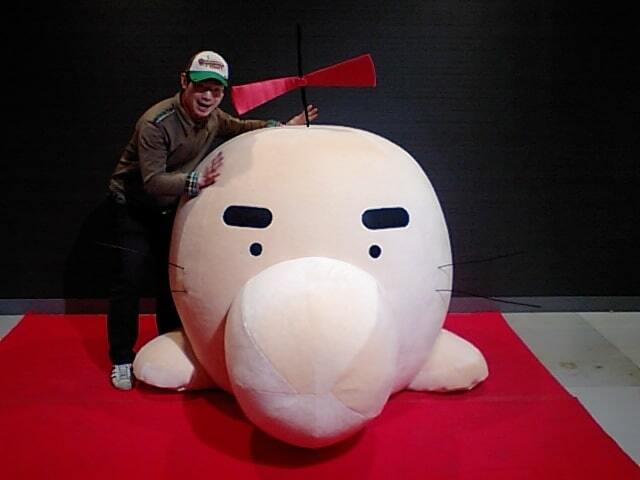 What I would pay for a giant Mr. Saturn! WTF!!! THAT IS NOT FAIR!!!!! 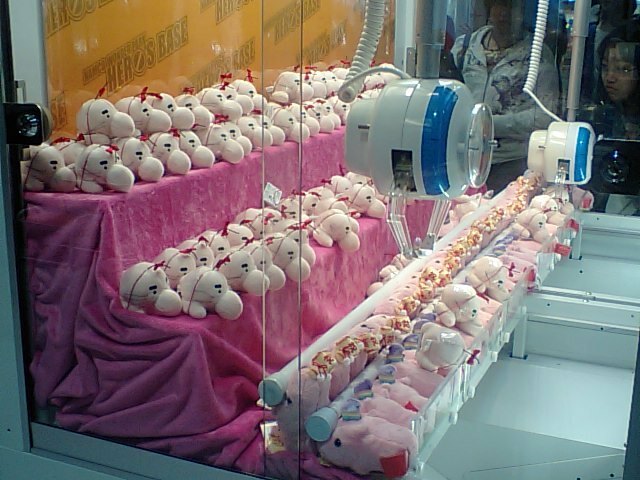 WE SHOULD BE ABLE TO HAVE THESE PLUSHES AND FIGURES AT AN ARCADE AND THIS EVENT! 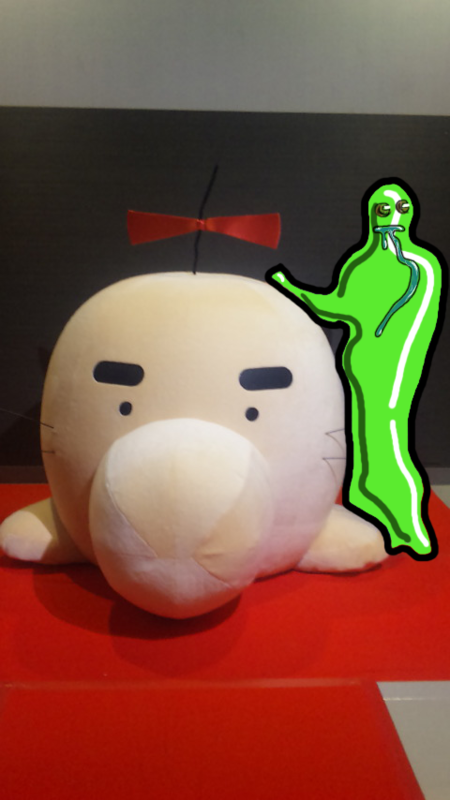 !I guess we can only wait…..
World need more Mr. Saturns, ding!